Our one day Emergency First Aid at Work Course covers a range of life-saving skills and is specifically designed to enable low-risk workplaces, nurseries, schools and colleges to comply with UK Health & Safety (First Aid) Regulations. This course is ideal for those acting as Emergency First Aiders in the workplace, or anyone requiring a good grounding in first aid principles. We can also provide a comprehensive 3 Day First Aid at Work course that covers the full range of first aid skills required by first aiders and enables your organisation to comply with statutory Health & Safety (First Aid) Regulations where emergency protocols alone are not sufficient. 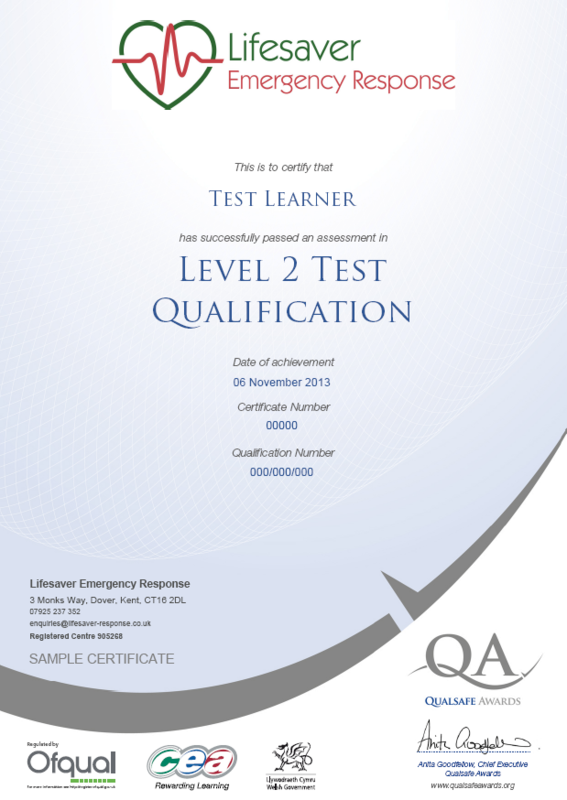 This course is assessed through ongoing trainer assessment, 3 practical skills tests and one short multiple choice test. On successful completion of this course you will be awarded you will be awarded an Emergency First Aid at Work certificate, which is valid for 3 years.